Translate From English To French Online: Why Use A Translation Company? Translate from English to French online without using a proper translator, and you might find yourself in difficulties. 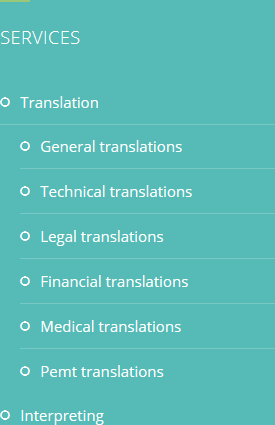 It can get very confusing if you don’t also speak to a human being about translation services. There are hundreds of different languages used in the world today as well as plenty of dialects. It is best to use an expert. Those language translator experts can come in many forms, and one of these forms is through a translation company. Why should you choose a translation company over an individual, or a freelance translator? One reason is that it could be considerably cheaper. 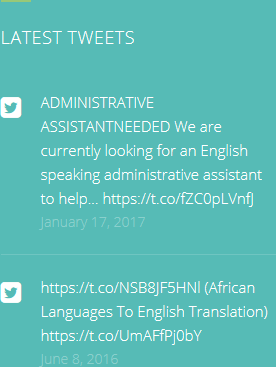 If you need to translate English to French, English to Spanish, English to Mandarin, and so on, hiring freelancers yourself will cost you a lot of money. This is because you will probably have to hire more than one to get the work done properly – not every translator speaks every language. However, with a translation company you can send one document to them, and receive it back, translated into as many languages as you need, for a smaller cost. Time is also a consideration. Even if you could find one freelance translator who can speak a number of different languages well enough for your purposes, they will take much longer than a business with multiple translators. You may have a tight deadline in mind, and therefore the quicker the better. To make things easier and less expensive, if you need a website translated, only send those pages that require changing, and leave everything else out. Today, you could need some website content translated. 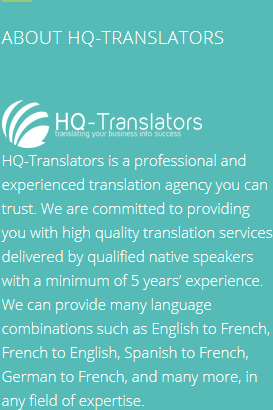 At HQ-Translators (https://hq-translators.com), we can translate from English to French online and much more besides. Please contact us to find out more about our services. You can phone us on (00 237) 242 71 38 38, or (00 237) 693 21 69 27 or email infos@hq-translators.com.